Buy, manage and sell a domain in less than 60 seconds - that’s the magic that happens when you join the premier domain name sales service with the best registrar there is. No hassle, no complicated systems to learn, just right click and done. 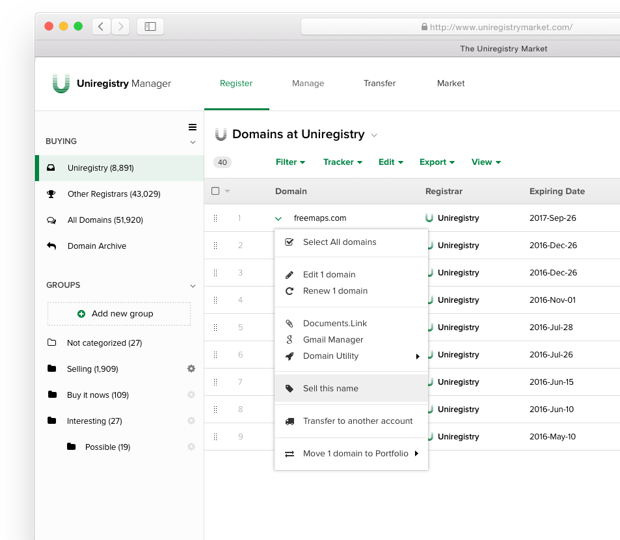 The Uniregistry Market (formally DomainNameSales.com) has spent years assembling the best team in the industry. We have domain industry veterans, marketing specialists, transfer specialists, foreign language speakers, and more. One inquiry or a million. Manage all your inquiries with consummate ease. 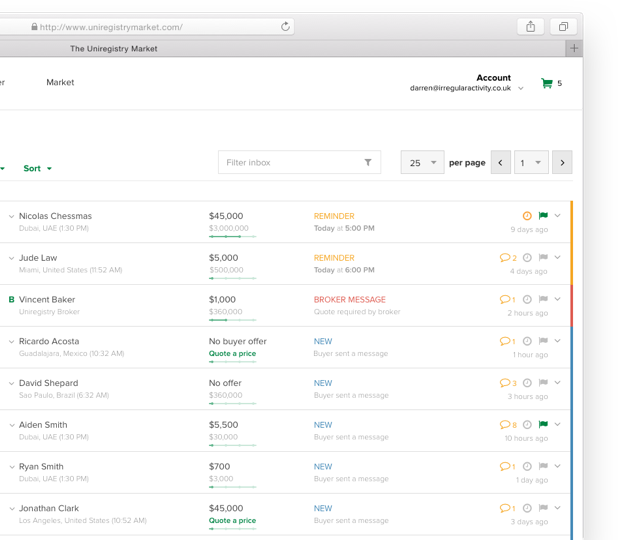 A sales inbox designed around the process of domain sales. 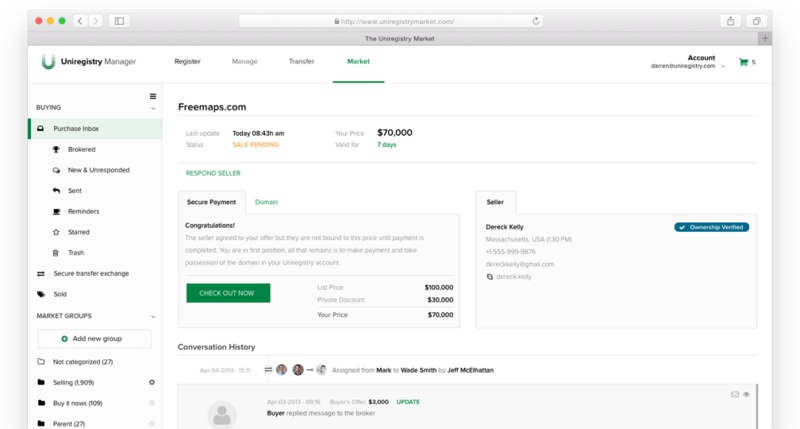 Reply, set reminders, quote prices and do it all from a single interface. Act on individual requests or use our famous bulk tools to manage everything in an instant. Everything in your DomainNameSales account is still there, your leads, your deals & your conversations. It’s all accessible from the new Uniregistry Market. Think of it as DNS V2. If you have a Uniregistry account, just sign in and the system will guide you through linking, in most cases it's completely automatic. You'll be selling in less than a minute. Import all your names with a single click, we’ll even run them through Estibot for an educated guess at their value. For names that already live at Uniregistry, a single menu and a click on ‘Sell this name’ is all it takes to move the name into our market and have it listed for sale immediately. No hurdles, no mess, just a market that works. Copyright © 2019 DomainNameSales.com™. All rights reserved.